With kalboishakhi and a luscious Espresso Slushy. Kolkata has always seen sweaty, sunny hot summers. This year was much too hot for anybody to handle though. Going out meant groaning and complaining while getting dressed. I barely left the house (on my four-day trip home), except for the ocassional dinner invitations. Luckily enough, the kalboishakhi hit us just one day before my flight back to Mumbai! And the city cooled down in ten minutes flat. Ten minutes. Kalboishakhi is technically nor’westers, the wind that ushers in monsoon in India. Its quick, super-destructive, cools like a chilly blizzard and blows with a vengeance. Needless to say, we welcome it like an old friend really. The storm had almost become just a memory, considering the fact that I hadn’t experienced it in all the five years of staying away from home. This year the memory was refreshed! Of my Mother and the maid running around the penthouse trying to get to all the French windows in time, before the violent wind knocked the trinkets off their shelves and the paintings off the walls! Of my Dad chasing flyaway newspapers and of me and my brother standing in the balcony with our eyes closed (the dust blinds you) and arms wide-stretched hoping we’d get blown away! The idea of getting blown away has always been rib-tickling! 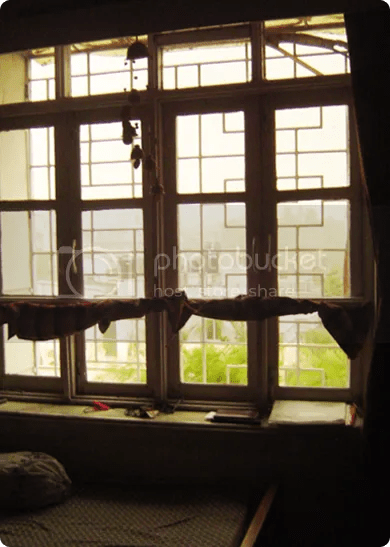 One glance through the window told me that Monsoon had arrived. A couple of days prior to the storm, the sweltering heat literally forced me to bring out the coffee grinder and a handful of old coffee beans to whip up a slushy. The old beans, though old, did a fine job instead of instant or regular coffee powder. I could have gone for ice-cream I know, but I’m still one of the unfortunate ones who’re still confused about which ice-cream maker to buy (I’ve been saving up, by the way). Any suggestions??? Anyway, didn’t feel like undertaking heavy physical work beating up ice-crystals, so I let the old processor do my dirty job. 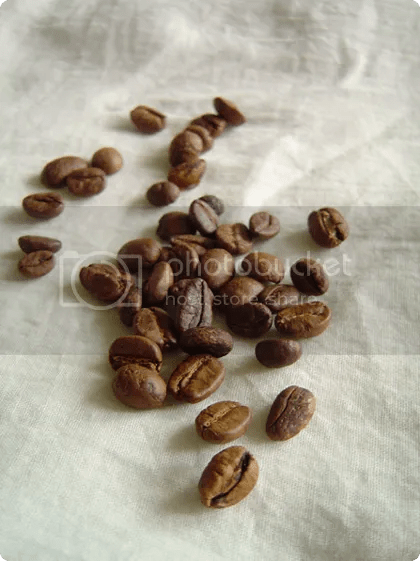 – 2 tablespoons of coffee beans, ground to granules…or espresso mix or instant coffee powder does just as well! – Dissolve the cornstarch in half a cup of cold milk avoiding lumps and set aside for a couple of minutes. – Add to the rest of the milk (1 cup). Add sugar and simmer on low heat, till the sugar dissolves. 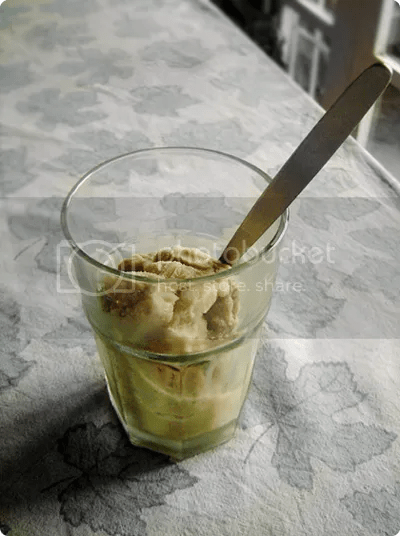 – Take 1 tablespoon of the warm sweetened milk and add to the coffee powder in a cup and beat vigorously, till the mixture turns light brown in color and becomes creamy. This step takes a sincere amount of hard work and makes the slushy pop wth flavor. – Add this to the heating milk and stir till the custard thickens and is able to coat the back of a spoon without dripping off. – Take it off the heat and cool in an ice-bath for 10-15 minutes. – Pour in a shallow freeze proof container and freeze for an hour or till the edges are frozen and icy. – At this point if you churn this mixture in an ice-cream machine, you would get…well, uh, ice-cream…so go ahead and do it! – Or you could churn it in the mixer or food processor. Pour it back into the shallow container and freeze for 2-3 hours and you’re done. – Serve in a tall glass topped with softly whipped creamand hot chocolate! I’ve been making frozen treats w/o an ice cream maker. It’s pretty easy and tastes every bit as delicious. I would love coffee slushies. Great idea. That slushy drink looks like the perfect drink on a hot day. Hope you enjoyed your visit! What a wonderful and clever way to have coffee and a nice icy treat. This recipe seems as if it would make a great base for a Starbucks Frappuccino. Thanks for the recipe! It’s not boring! It looks pretty and icy. looks delicious! i love your pretty blog too! You, my dear, are a lady after my heart! Yes, I got beans + a craving for coffee in the freezer. YUM!!! Nice pic in the avatar too Amrita.BTW, pls make the man a carnivore!